Thank you for your interest and visiting the Knights of Columbus website. 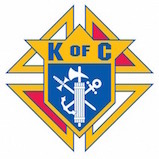 The Knights of Columbus has grown from several members in one council to more than 15,000 councils and 1.85 million members around the world. Please take a moment to complete the entry form below and we will get back with you as soon as possible.